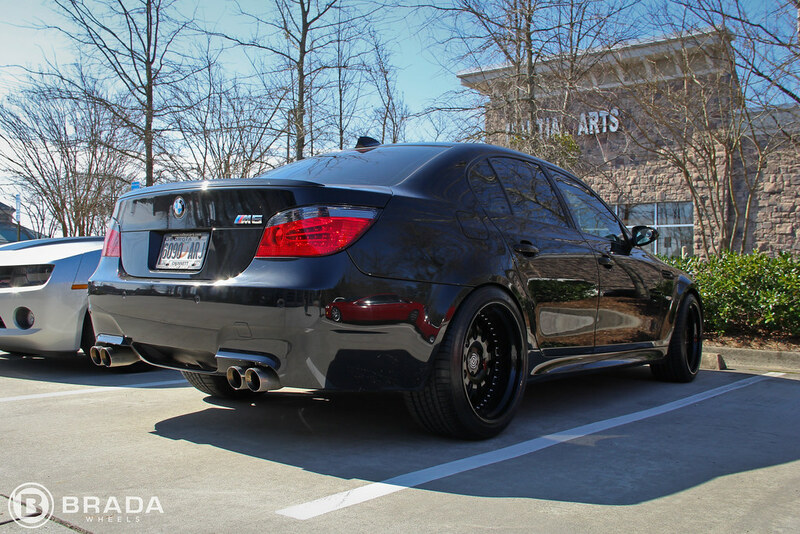 BMW E60 M5 + Brada Wheels BR10!! E60 M5 Discussion The almighty M5. Have you seen one today? Pardon the cell phone shots for now, we'll get some legitimate photos soon! Ran out to meet the client and deliver the wheels and left the DSLR behind, whoops... Anyway, we went with 20x10" and 20x11" BR10's finished in all Gloss Black with chrome hardware and Brushed Anodized Black center-caps! 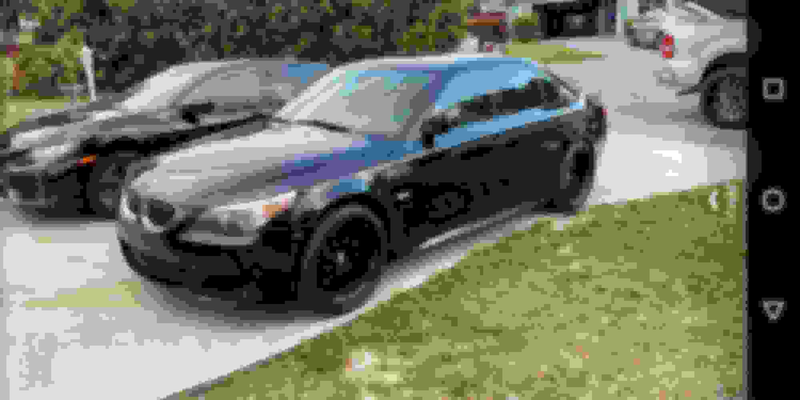 I believe some springs or suspension work is in store to bring this Bimmer a little more down to Earth. 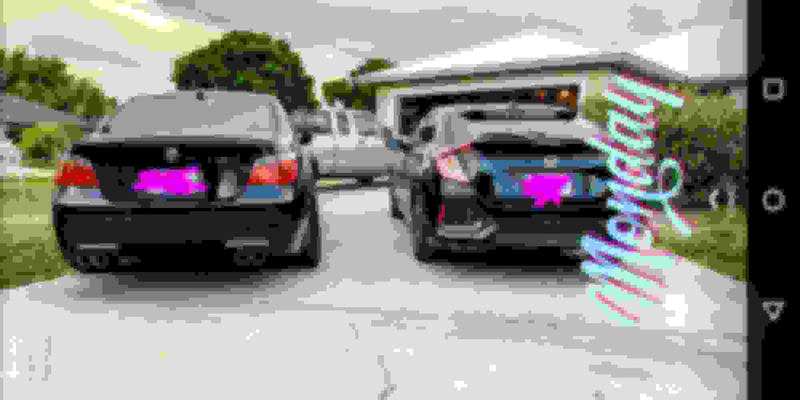 I'll update this thread once we get some better, high-res shots! But I figured I'd share some of these in the meantime! 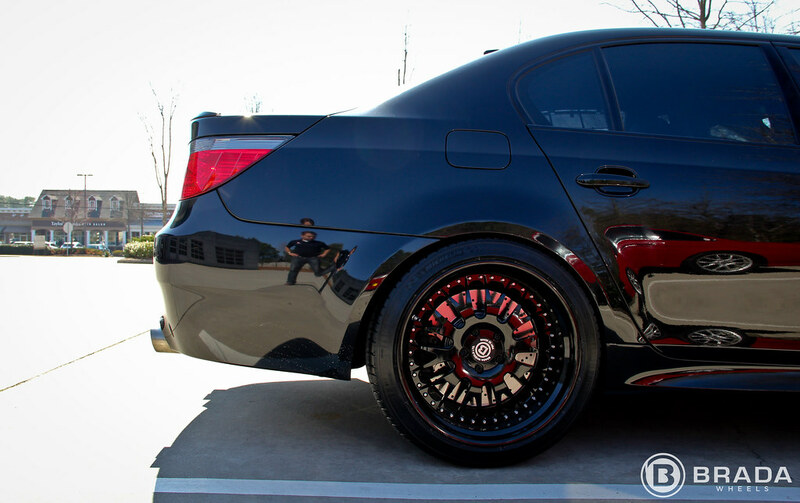 And a better DSLR shot of the wheels! Nice! Fitment looks great, did you need to use spacers? I am also looking at getting 20x10 and 20x11 rim, what size tires do you have in the picture and have you experienced any rubbing of the tires due to the fitment of the rims? Any feedback will be very much appreciated, thanks you for your time. Thanks! And nope, that's the beauty of 3-piece wheels, just built them to the specs he needed, no spacers necessary! 255/35/20 and 285/30/20's were the sizes we used! And no rubbing, maybe slightly in the rear before the alignment was done, but so far, no complaints from Brian, the owner! We'll ask him when we shoot the car soon! Totally forgot to update this thread with a few better pics! We're on opposing schedules with the owner, but we're working on a full photoshoot (and video possibly) soon! I would like to know if the rod bearings we're replaced on this car and what kind of exaust is on this car ? Last edited by Pavel Myrets; 04-09-2019 at 05:36 AM. 2006 BMW E60 Headlight control switch trim part number? 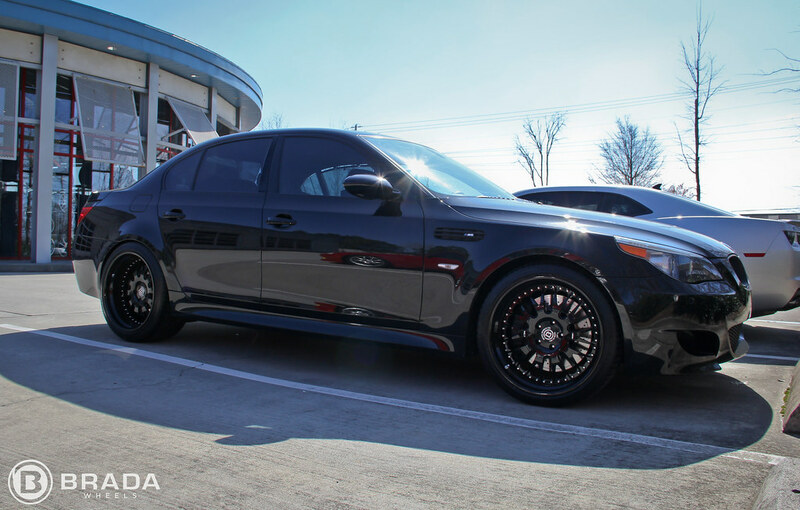 Quick Reply: BMW E60 M5 + Brada Wheels BR10! !